For no apparent reason, this month's Spin magazine--the one with the reunited No Doubt on the cover (see right)--is action-packed with interviews, props and nods to Dallas artists. 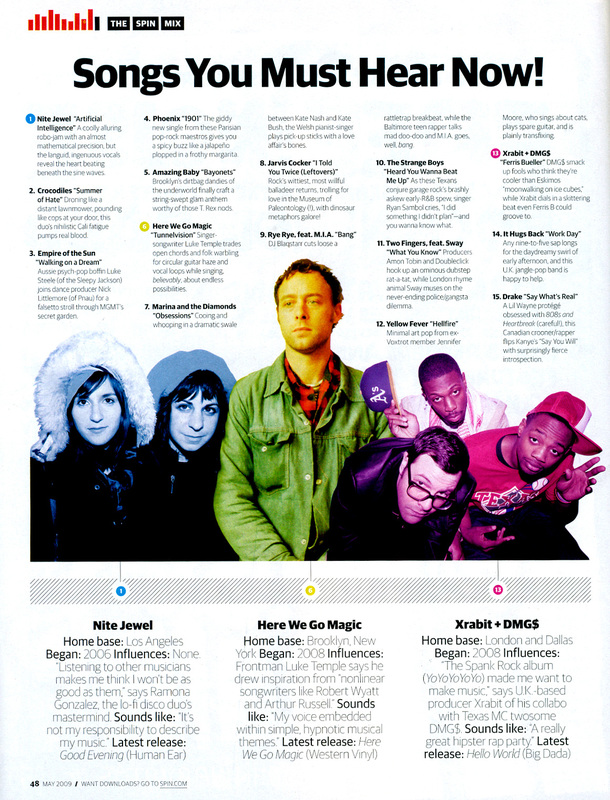 In the "Songs You Must Hear Now" feature, local hipster-hop duo (and noted DC9 faves) Damaged Good$ is pictured and gets some love for its song "Ferris Bueller", in which the guys rail on people for trying too hard to look cool. In the same section, the Dallas natives in The Strange Boys are also hyped up in the same section, for the song "Heard You Wanna Beat Me Up". In the "Faced in the Crowds" section, Pantera gets referenced with an overheard quote about someone wanted to start a Pantera cover band. There's a reference to Westlake's own Jonas Brothers in an article about Austin's awesome Black Joe Lewis & The Honeybears. 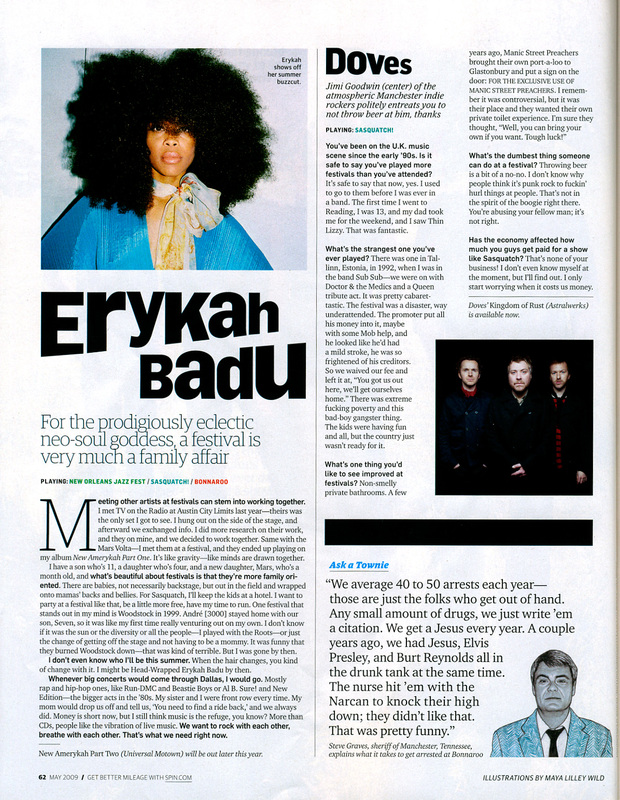 Erykah Badu talks about seeing all of her favorite big hip-hop shows in Dallas within the confines of the magazine's feature on summer festivals. 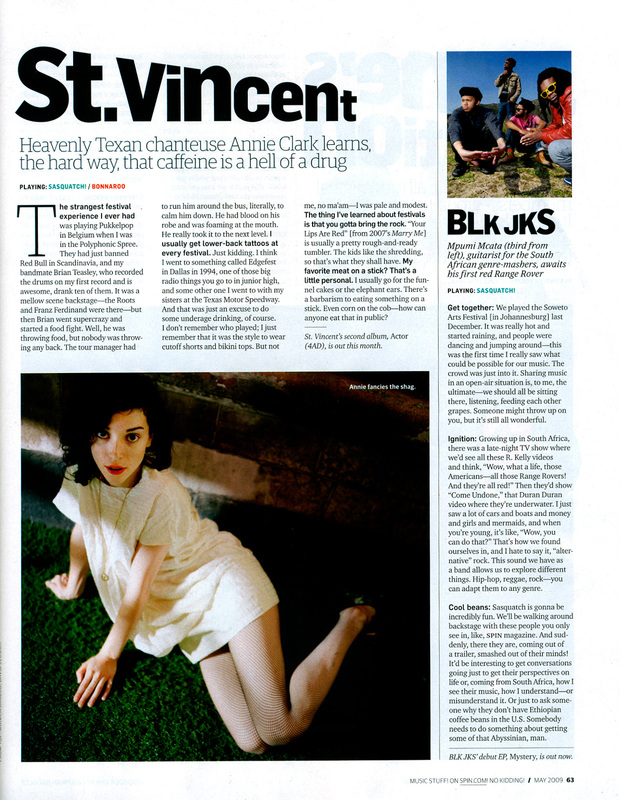 ...and, lastly, Dallas native St. Vincent shares some memories of checking out the 1994 Edgefest concert within the same feature. ...plus, if you want to be really technical about it, you could even find a tie-in to No Doubt as, for a short period of time, the Dallas-based Kirtland Records owned the royalty rights to the band's Tragic Kingdom and The Singles 1992-2003 discs. This is almost as exciting as the time both my mother and I were featured in the same issue of the Needham Times. Almost.